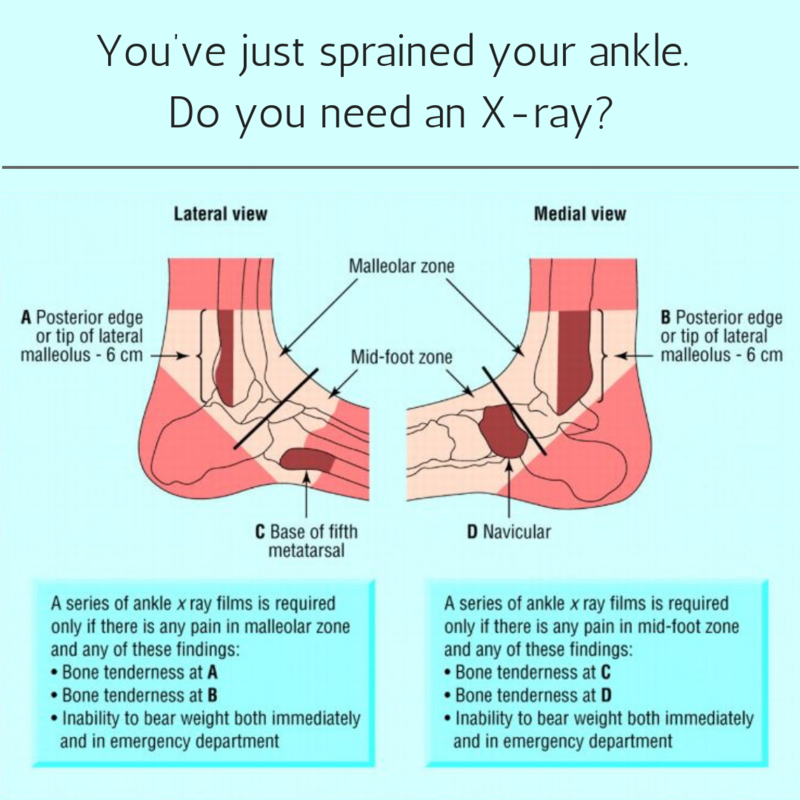 Burleigh Heads and Broadbeach Physio Centres You’ve just sprained your ankle. Do you need an X-ray? Together with these four points; if you were unable to weight bear through the affected side immediately after the injury or when you get home then again an x-ray would be indicated. But if you are unsure about your injury always seek advice from a medical professional whether it be your GP or Physiotherapist.